We are delighted to announce that Gareth Dunlop, founder and CEO of Fathom has been confirmed as a guest speaker for the RDO7 timeshare conference that will take place from 20 to 22 September at the Pestana Chelsea Bridge Hotel & Spa, London. Following 15 years of direct commercial experience helping businesses use the Internet more effectively, Gareth established the dedicated User-Experience agency Fathom in September 2011 to advise companies on how to get the most from the Internet by seeing the world from the perspective of their customers. Previously Gareth was the MD of iON, a leading digital strategy and marketing company, headquartered in Belfast and with major clients in 15 countries. Prior to that he was the MD of Tibus, one of the largest and most successful web development agencies in Ireland, from 2002 to 2009 when it was sold to UTV Media. 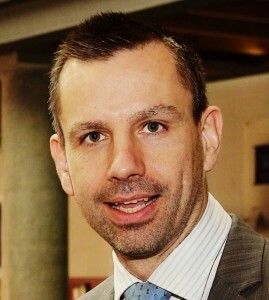 Since 1996, he has gained massive commercial experience advising blue chip clients in Ireland, UK and Europe (SPAR, DHL, Post Office UK, BBC) on Internet strategy and best practice. A former Board Member of the Irish Internet Association, and Chairman of WeddingsOnline.ie, Gareth writes & lectures extensively on Internet related matters. He occupies regular columns in SiliconRepublic.com and the Irish Independent in the Republic of Ireland, and Business Eye magazine in Northern Ireland. Gareth is a former judge of the Eircom Spider Awards and current judge of the IIA Net Visionary Awards. Visit the RDO7 conference website to find out more and reserve your seats. Don’t leave it! The early bird rates end at midnight on July 1, 2016. 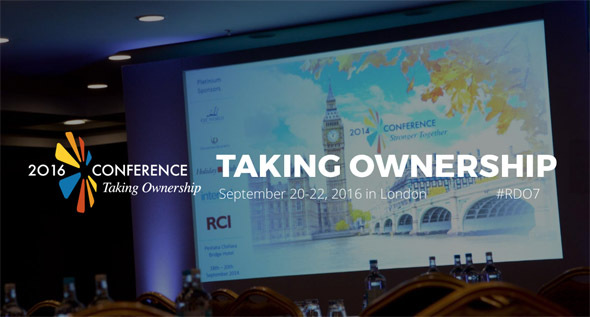 RDO members benefit from special discounts, as do companies that have sent delegates to recent conferences. Please see the website for full details and rates. The RDO7 conference is sponsored by CLC World Resorts & Hotels, Diamond Resorts International, Interval International and RCI at the Platinum level, and Dial An Exchange, Generator Systems and Shawbrook Bank at the Gold level. We thank them for their support.